Then we prepare visa support invitation, hotel confirmation and voucher for applying for the Russian Visa and send you them by fax. Accommodation and all of the meals are included in the trip cost. In the Baskan Valley accommodations are more rustic, guaranteed to give a real taste and feel of the area. Rooms are generally double. Single rooms are available for an additional charge. You will be provided with European and local (Russian, Balcarian) cuisine of good quality. Food in the mountain hut will be prepared by our own cooks from fresh foods (including fresh meat and vegetable, several tea grades, instant coffee, cheese, biscuit, jam for breakfast). If you have a special snack you like, please bring it along. Drinks can be bought for extra payment. 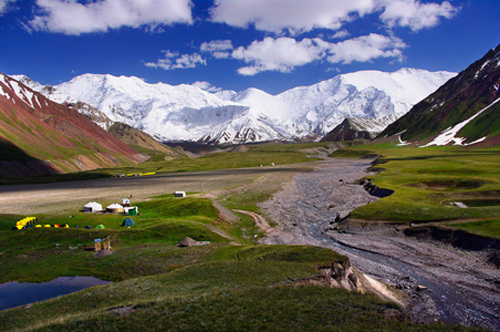 During acclimatization treks you will be provided with a lunch-packet, including cakes, sandwiches, fruit, chocolate and tea. Please bring along a thermos to keep your tea always hot. 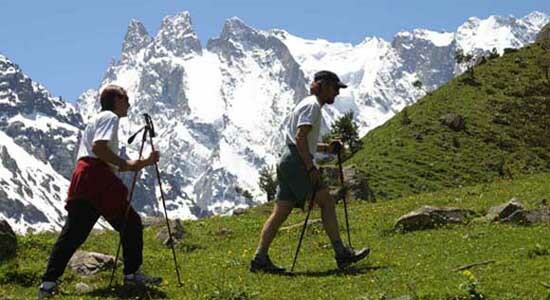 Although no advanced mountaineering experience is required, you should be familiar with the basic use of crampons and ice axes before the trip. Skills necessary to this climb will be taught on the climb, and of course any prior climbing experience is helpful but not necessary. Some of the days are very demanding physically. 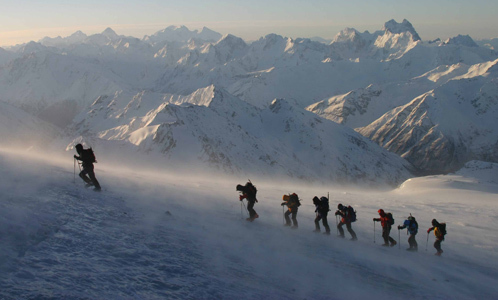 It must be remembered that Elbrus is an extremely serious mountain in spite of its technical ease. The guide’s decision to turn back should be respected at all times. 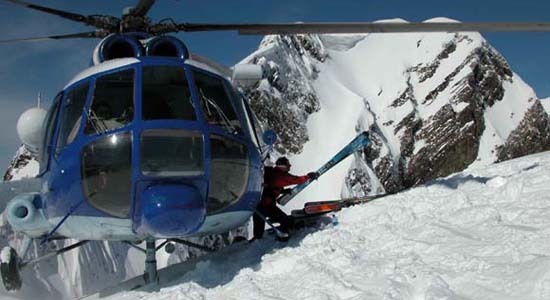 Appropriate training will allow you to have a successful climb and enjoy the trip much more. Top-Travel will certainly work with you to achieve the best work out regiment for your individual needs. 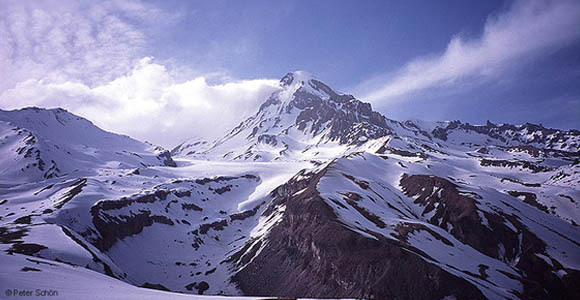 Caucasus climate is very variable. 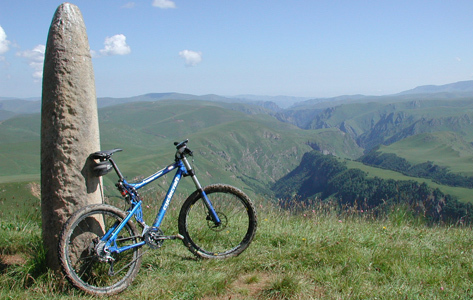 In the valleys it is possible for daytime temperatures to rise over 20°C. 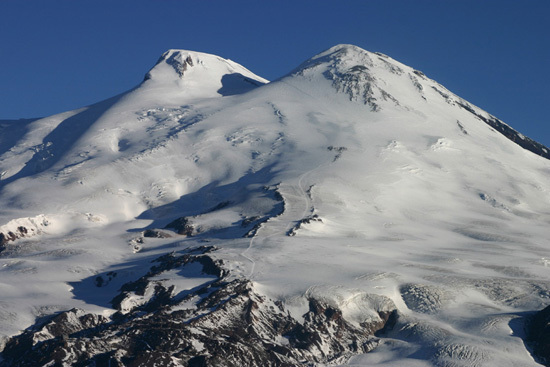 On Elbrus the weather can turn arctic. Very warm and wind-proof clothes are necessary for the ascent including both inner and outer waterproof gloves/mittens, down jacket and fleece. We recommend plastic double boots. Cool feet could force you to turn back or result in frostbite. 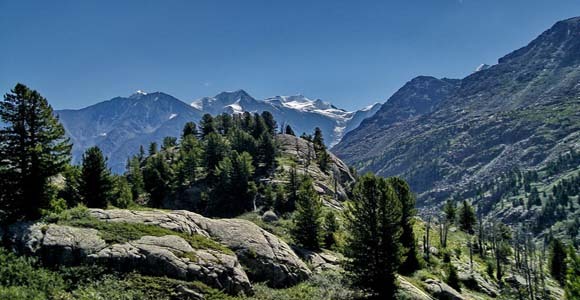 You will also need sleeping bags with temperature rating of -10°–15°C, crampons, ski poles, gaiters, high-altitude sunglasses, headlamp, sun-blocking lotion and thermos. Excess baggage in Russia depends on the airline. You are allowed 23 kg of gear and personal items if you fly with Aeroflot for the internal flights in Russia. One luggage lot is free, next lot will cost you 50,-Euro (does not depend of weight). Fill in our application form and send it to us per e-mail, fax or post. Deposit Payment 30 % of the tour cost is required 1,5 months prior the arrival date to Top-Travel account # indicated in the invoice. Final Payment Final Payment is required 15 days prior the arrival date to Top-Travel bank account # indicated in the invoice. Confirmation of payment (a bank remittance document) is to be faxed to Top-Travel. Prices are quoted in US dollars or euros and are subject to change. All payments must be made in US dollars or euros. If you decide to cancel your trip, the following fees apply at the time we receive written notice of your cancellation. “Top-Travel” reserves the right to cancel any trip. We give a full refund of land cost in case the tour is not prevented by reason of circumstances amounting to force major. Such circumstances include but are not limited to war or threat of war, natural disaster, government action and all similar circumstances outside our control. “Top-Travel” does not give refunds for unused hotel rooms, meals, trek arrangements and other services.